C# - Accessing method transform.Rotate in user-built class? Accessing method transform.Rotate in user-built class? I'm studying C# and Unity3D with "Learning C# by Developing Games with Unity #D Beginner's Guide" by Terry Norton and I'm blocked with an error. I'm having trouble with accessing a method transform.Rotate via user-built class variable. Below is the error I get. 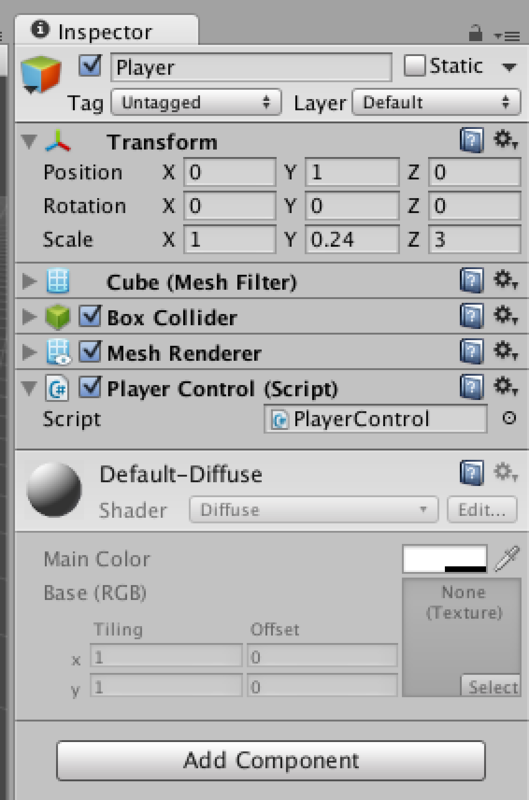 SetupState.cs, state that tries to access transform.Rotate via PlayerControl type variable controller. PlayerControl.cs, class definition for class PlayerControl obviously. The book mentions that linking the script PlayerControl.cs with a 3D game object is the only thing I need to do to access method transform.Rotate and I did link PlayerControl.cs and game object "Player" together. http://i.imgur.com/0oH9hYs.png //seems that I can't upload images yet. I'm not a native speaker in English and the book is Korean translated one so some terms are probably used in inadequate ways, so excuse me for it. And the question is a dumb noob one, but please be a nice helpful chap guys, thanks.